28-Feb-2019: Salt apparently affects allergic immune reactions. A team working with Prof. Christina Zielinski at the Technical University of Munich (TUM) has demonstrated in cell cultures that salt leads to the formation of Th2 cells. These immune cells are active in allergic conditions such as atopic dermatitis. The team also detected elevated salt concentrations in the skin of patients. In industrial countries, nearly one in three people are affected by allergies at some point in their lives. One in ten children suffer from atopic dermatitis. T-cells play an important role in immune conditions of this kind. They are a vital aspect of the body's resistance to infections, but, if uncontrolled, can also develop pathological responses and start attacking parts of our bodies or innocuous substances such as allergens. When such functions occur, Th2 cells, a subgroup of T cells, can cause inflammatory skin conditions such as atopic dermatitis. This involves increased production of the proteins interleukin 4 (IL-4) and interleukin 13 (IL-13). It is still unknown what triggers the signalling malfunction. 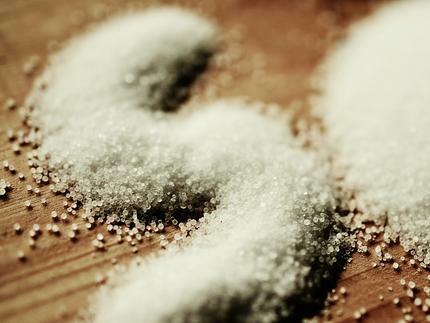 Table salt, known scientifically as sodium chloride, is essential to the health of humans and animals. In the body it occurs in the form of sodium and chlorine ions. In a recent study, Christina Zielinski, a DZIF-professor at TUM's Institute of Virology, and her team were able to demonstrate that sodium chloride can induce a state in human T cells that causes them to produce increased amounts of the proteins IL-4 and IL-13. Th2 cells. The changes are reversed when the T cell is again exposed to lower salt levels. "Consequently, ionic signals do play a role in the generation and control of Th2 cells," says Christina Zielinski. As a medical specialist in the field of dermatology, Zielinski is naturally interested in atopic dermatitis. Her team investigated whether the affected skin regions of atopic dermatitis patients exhibit elevated sodium levels.” Measuring sodium concentrations in the tissue is complicated,” explains the first author of the study, Julia Matthias. “Dissolved salt in blood can be measured using standard clinical methods. But for the skin, we needed the help of colleagues in nuclear chemistry and physics.” They tested the skin samples at the Research Neutron Source Heinz Maier-Leibnitz (FRM II) at TUM and at the Institute for Nuclear Chemistry at the University of Mainz by means of neutron activation analysis. The sodium levels in the affected skin areas of patients suffering from atopic dermatitis proved to be up to 30 times higher than in healthy skin. “The higher sodium levels in the affected skin neatly match another characteristic of atopic dermatitis,” says Christina Zielinski. “It has been known for some time that patients with this condition have elevated levels of the bacterium Staphylococcus aureus on their skin. These are bacteria, which thrive under salty conditions – in contrast to other commensal bacteria, which are in fact harmed by salt.” Zielinski believes that this insight along with others and the current research results point to a link between salt and the occurrence of atopic dermatitis. “However, we have not yet been able to show how these large quantities of salt find their way to the skin,” she concedes. “For that reason, we are also unsure of how a low-salt or high-salt diet might be related to the appearance and progression of atopic dermatitis or other allergic conditions.” Professor Zielinski and her team hope to answer these and other questions in future interdisciplinary studies.